Trampolining is certainly not just for children. Trampolining is very healthy for young and old. 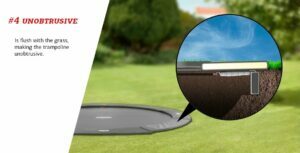 The BERG Elite FlatGround is perfectly integrated into your garden. 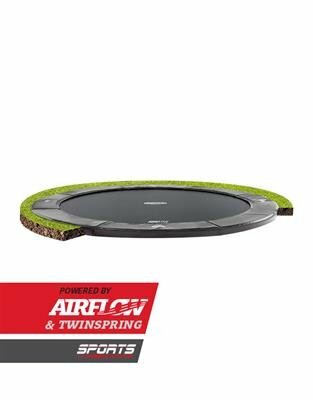 The sturdy frame of this trampoline is entirely sunk into the ground. 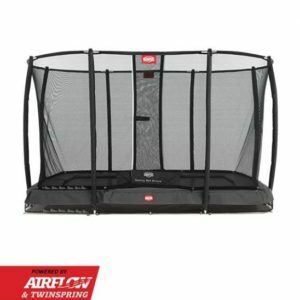 All that you see are the protective edge and the jumping mat. 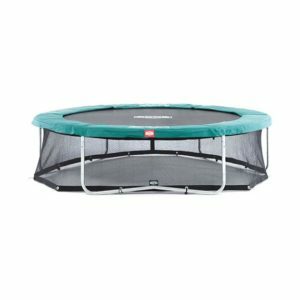 You can make nice light jumps on this trampoline. 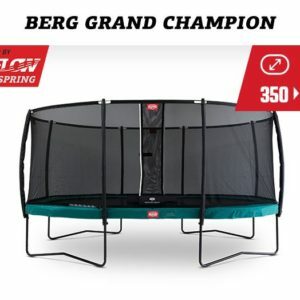 This is because the trampoline has TwinSpring springs to ensure better jumps, and an AirFlow jumping mat for higher jumps. 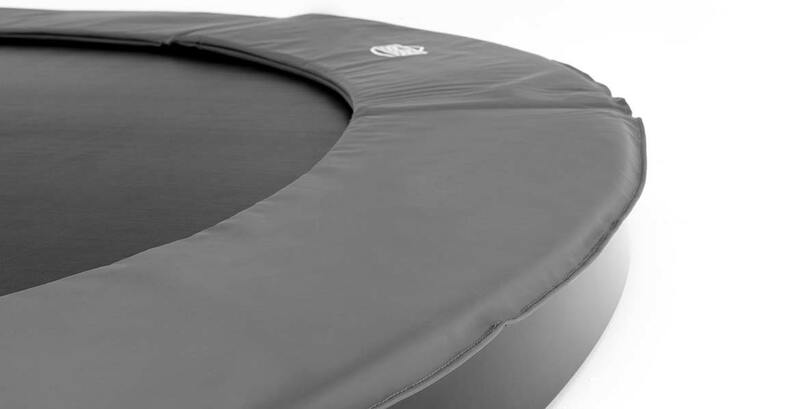 The special noise-reducing straps allow the air underneath the trampoline to escape and the protective edge will not rattle against the jumping mat. 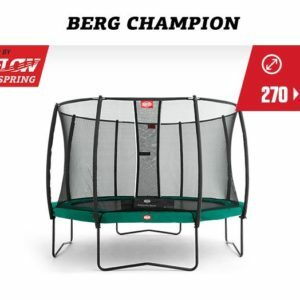 The BERG Elite FlatGround has an extremely good protective edge. 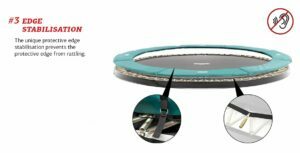 The protective edge is very UV resistant and all materials used are extremely durable. The unique protective edge stabilisation prevents the protective edge from rattling. The trampoline is nicely concealed in the garden, making it very easy to step onto.